LIP INK® Lash Tint will cover (not dye) any grey/bleached hairs for a look that will make your eyelashes look natural. LIP INK® Lash Tint will not add fullness or length but will add incredible color. Wear in confidence knowing you will have beautiful, natural looking lashes all day long. Will not irritate contacts or disturb eyelash extensions. Waterproof, smear proof, waxless and all natural as always. Goes great with LIP INK® OFF Foam - to take color off at the end of the day. Compatible with contact lenses, eyelash extensions, dyed eyelashes etc. because it is oil-free. Also removes ANY type of mascara out on the market today! LIP INK® Brow and Lash Conditioner ® can shape your brows/lashes and add sheen and moisture to your bare brows/lashes to condition and strengthen. Apply under complementary products or by itself. Please choose your color from the above dropdown menu. Shake the vial of Lash Tint against the palm of your hand until the beads move freely. Carefully remove the applicator brush, and wipe the excess into the vial. Wait about 10 seconds before applying to let the natural corn grain alcohol dry from the applicator.Apply LIP INK® Lash Tint to the individual lash hairs, with the natural growth of hair. LIP INK® Lash Tint will cover hairs lightened by the sun and gray hairs. Color all the way into the existing lash line. LIP INK® Lash Tint products dry in approximately 30 seconds. Be sure not to apply more than 3 layers to the lash hairs. Make sure the brow area is clean and free of oils, creams and lotions before applying LIP INK® BROW AND LASH CONDITIONER . Can be used under complementary products or by itself. Press to the lash area for a few seconds then gently wipe (never scrub) to remove the finish. Splash with water and pat, dry. Guaranteed smear-proof brow tints are a confidence building solution for active women. Started in 1995, Lip Inks guaranteed smear proof brow tints were the first line of semi permanent cosmetics. 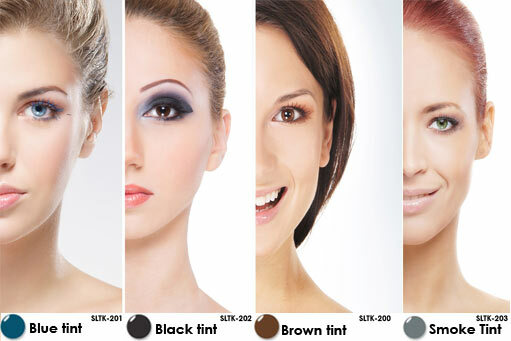 Brow tints come in a variety of colors, provide smear-proof full protection for your eye brows and your eye lashes. Finally found a mascara that doesn't flake, rub off, run or bother my eyes. Even waterproof mascaras would have me looking like a raccoon by the end of the day. This product will darken your lashes but not really thicken or extend. Wonderful eyelash due for Grays. I did have the same reaction as with the eye liner. My friend still loves it. I did love the conditioner also. Shipment came quickly, the waterproof lash tint has worked well. I'm a heavy sweater, just born that way but these products last longer than any others I have tried.